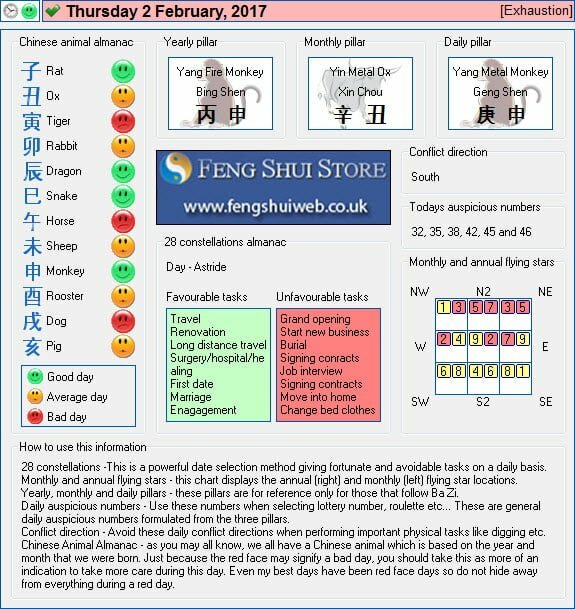 Here is the Free Feng Shui Tong Shu Almanac for Thursday 2nd February 2017. The salt water cure will be fine in the bedroom as long as it will not get knocked. For the south where your door is located, I would introduce some metal colours to weaken the effects of the annual #5.